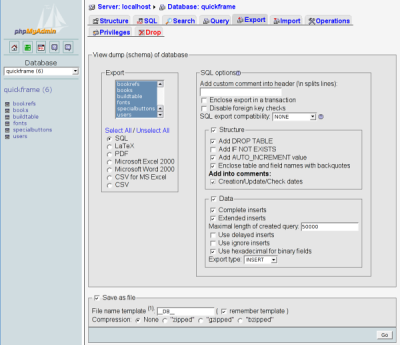 One popular way to access MySQL databases especially remote MySQL databases is through the open source PHP script called phpMyAdmin. 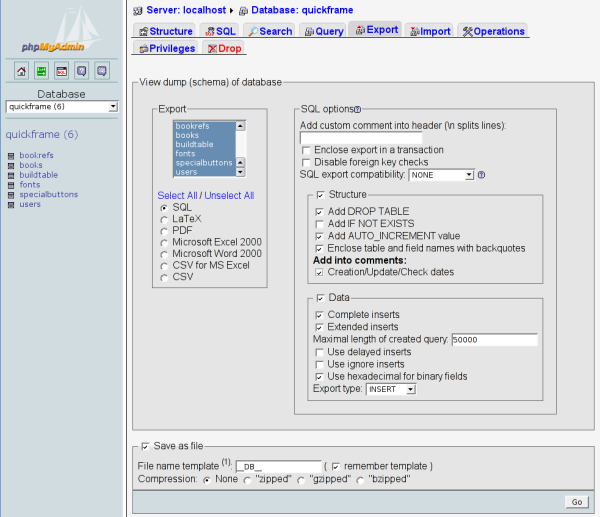 Taking back up from phpMyAdmin is fairly simple, all you need to do is click on Databases and go to the Export tab and there you can export the data of a table of several tables including the DDL for creation of the table to a file in various formats which you can choose from. The other more traditional method of administering MySQL would be through command line. The mysqldump command dumps MySQL data onto the console by default, but we can redirect it to a file, and take backups easily.